Back when Dan Maes was the fallback winner of the Republican primary, after Scott McInnis imploded, he wasn’t in bad shape. Tom Tancredo was splitting the vote, but the Magellan Strategies and Public Opinion Strategies both had Maes running well ahead of Tancredo, putting the third party candidate in position to fade and become irrelevant by November. But after the RGA and other national Republicans made it clear they would not accept the will of the primary voters in this race, Maes has lost a dozen points in the polls, with Tancredo being a prime beneficiary of that. In the new Fox News/Pulse Opinion Research poll Maes is now in terrible shape, as the poll shows Hickenlooper 44, Tancredo 34, Maes 15 (MoE 3). Apparently when your own party attacks you, the voters aren’t inclined to support you. If only it were always so easy to divine the reasons for shifts in the polling. As far as I can tell Maes positioned himself poorly, as a nice guy when conservative voters can’t stand the sight of nice guys anymore. Hickenlooper is an eminently reasonable former business owner that has run Denver in a comparatively scandal-free manner. So he has the “Castle” vote; approachable, willing to work with everyone, not too wrapped up in principle, but of course he has to keep the public unions and baby-killer factions on board.. Tancredo was for secure borders long before it was polite to say so and has suffered the vilification of the left harpies for saying so. So positioning yourself as a conciliatory figure in 2010 will get you all of 1/6th of the electorate this cycle. He should drop, yesterday, and put Colorado into play. Dan did win the primary but that doesn’t mean he’s a capable candidate. I would not have supported Tancredo in the primary if he had run but he is running and is taking Republican votes from Dan. He’s gonna take mine too, not because of any party dirty tricks but because it’s clear Dan only helps the Democrat into office and I can’t have that…. Tancredo will get my vote because he might give us a chance. Dan should drop out and support Tancredo. Politics ain’t beanbag and Dan is over his head. His ego may yet hand the governorship over to the Democrats in a year when a Republican win should have been a slam dunk. A pox on McGinnis, the Colorado Republican party and Dan Maes if he continues this lost battle…. I believe that Dan Maes got the number of votes he did in the primary as a protest against Scott McInnis after it came out that McInnis had done some pretty unscrupulous things. As time went by, it became obvious that Dan Maes has no credibility. He has made statements about himself that are not true, and when confronted with his less than truthful responses, he bypasses the issue. The fact is that Dan Maes is an unknown. He has no track record, and consequently there is no way to determine if he could govern effectively or how he would govern. He could just as easily turn out to be another variety of a Republican in name only. With Tom Tancredo, you know what you are getting. He is a decent man and there is no doubt that he is a conservative. Hickenlooper has made a career of operating under the radar, supporting very liberal causes and donating huge sums of money to groups that are very far left. Because he hasn’t been challenged openly, he can get away with acting like he is just an all around nice guy. I heard him being interviewed one afternoon on the Dan Caplis/Craig Silverman radio show. They confronted Hick on some of his questionable charitable donations and Hickenlooper revealed just a hint of what lies beneath the surface with him. He made a false charge against them and has refused to answer questions since then because he hasn’t had to. 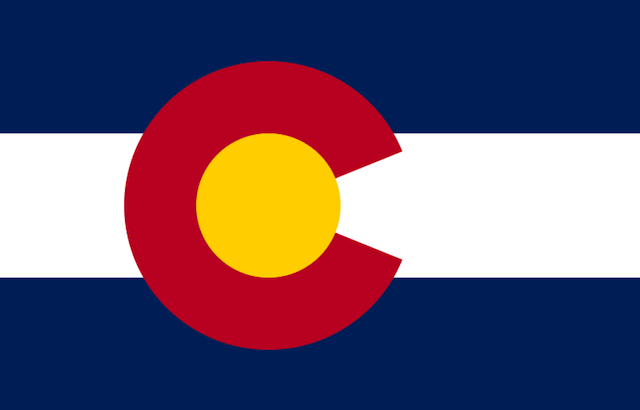 I encourage the voters of Colorado to vote for Tom Tancredo. Colorado cannot afford another four years of far left governing.